"We can find our way home - we are descended from the mighty wolf. We have raw primal instincts that are moments away from leading us home." 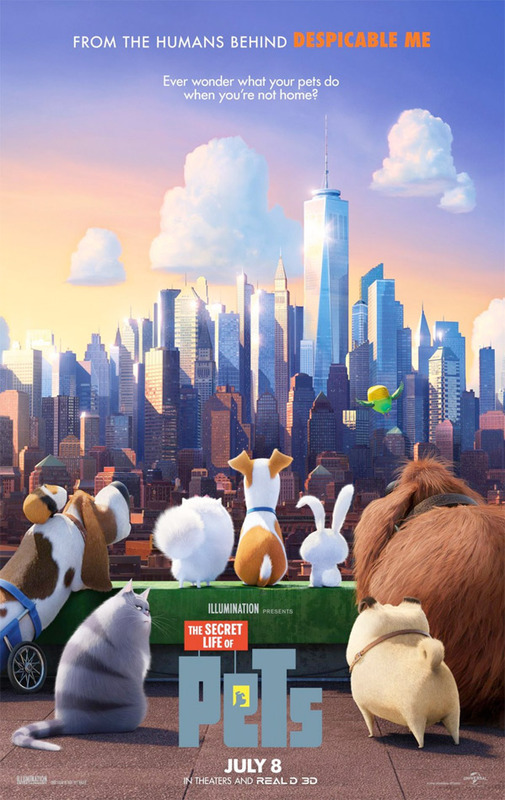 Universal has released another brand new, full-length trailer for Illumination Entertainment's upcoming animated movie The Secret Life of Pets, about what your pets do when you leave for work every day. We've already featured one official trailer for this previously as well as the holiday teaser, but this trailer dives more into the story and all of the characters/animals we'll meet in this movie. The main voices include Louis C.K., Kevin Hart, Lake Bell, Ellie Kemper, Jenny Slate and Eric Stonestreet. This does look fun and I'm sure it's going to be a big hit with audiences of all ages. I don't like films where the animals have eyebrows. I knew I recognized Dana Carvey, he's the voice of the old dog. Looks a lot better than the clip I saw that featured the evil rabbit more. Wasn't expecting the System of a Down part out the end, gave me a good laugh. Kevin Hart as the BUNNY is perfect. That headbanger poodle is still the funniest thing out of these promos. I can't wait to see this. This is the pet movie you are looking for. I am feeling some Toy Story Finding Dory vibes here. Not that its a bad thing.